One of our favorite things to do is to adapt an old, under utilized space into a functional "member of society." We started with a clean slate in this barn and added an efficiency kitchen and bath, along with storage options and code compliant egresses. It now serves as a generously sized one bedroom apartment in North Deering. 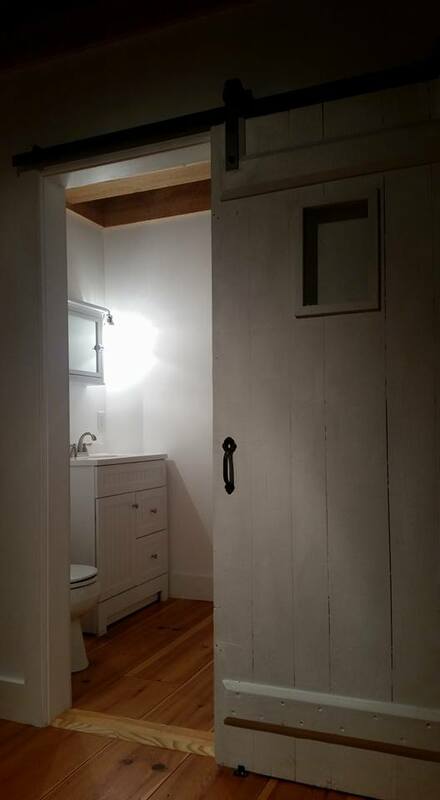 Sliding doors are great space savers. This one allowed us to turn a compact space into a fully functional bath.